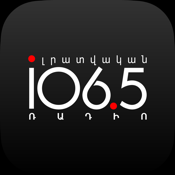 Armenian News Radio FM 106.5 is the only private "news & talk" radio in Armenia and is one of the flagships of Armenian media industry. It is targeted to the most proactive part of the society, and is highly demanded because of the depth of content and dynamic forms. News Radio is leading media with a unique market-position and is an integral part of the lives for hundreds of thousands of people.